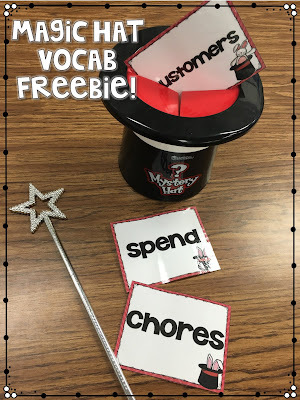 I wanted to pop in quickly and share another vocabulary idea with you. This one is a hit with my kiddos! I call it Swat That Vocab Word. I post our vocabulary words in a pocket chart on our front board. I pick sticks and choose two students at a time to come up front to participate. 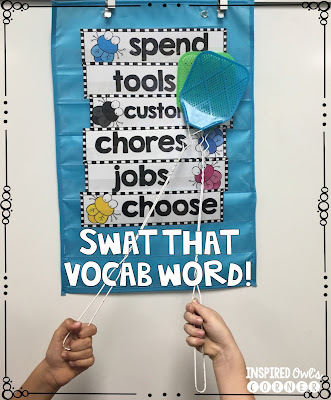 Each student holds a (clean) flyswatter. I either say a definition, a synonym, an antonym, or I give a sentence clue. I give the students a few seconds, then I say "swat!" and the student who swats first has to use the word correctly in a sentence that relates to the story we are reading. The students go crazy over this simple vocabulary practice! You can use this same method to practice almost anything! 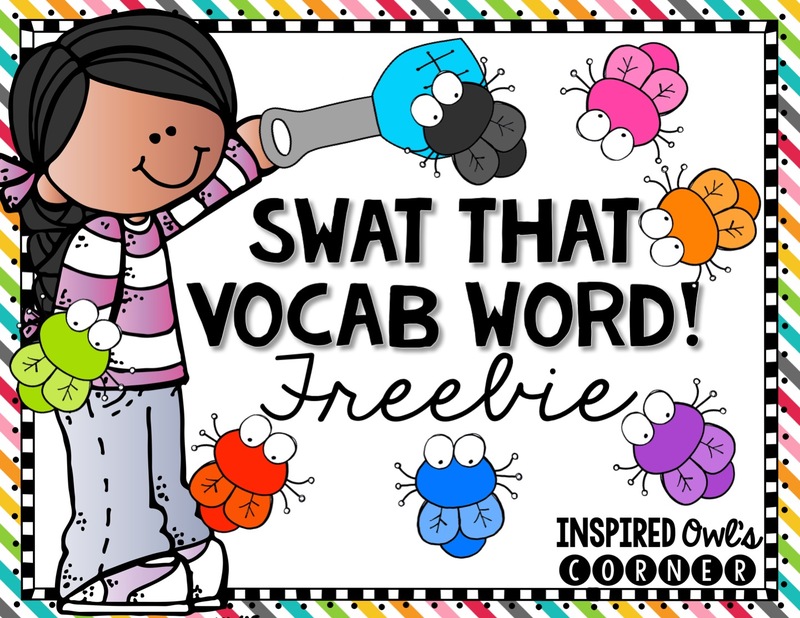 If you would like to try Swat That Vocab Word in your classroom, click on the image below! You can check out Magic Hat Vocab by clicking on the image below in case you missed it. It's another favorite game we play to practice using our vocab words! 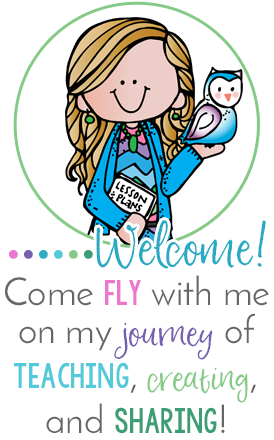 If you use it, I hope your kiddos have as much fun with these games as mine do!